Are Bots REALLY the Future of Sales? The rate at which technology has been developing over the last several decades has been nothing short of outstanding. The most prominent changes in this realm can be observed in the IT industry, with each year bringing its share of innovative new devices, applications, and services. One of the up-an-coming technologies which has been creating a lot of buzz in recent times is artificial intelligence. Increasingly sophisticated AI algorithms are starting to see more and more use by businesses from all sectors as we speak. As the use of AI in business is quickly becoming the new norm, sales leaders and business development professionals are trying to figure out how to use these technologies to better serve their clients. What AI brings to the table first and foremost is a way for businesses to improve their operations in two key areas: information analysis and communication. Having quality, up-to-date data about their existing, as well as prospecting customers, is vital for sales representatives that work in the online environment. Equally important for closing deals is the ability to communicate with customers at each stage of the sales funnel. In what follows, we will explore exactly how having an AI on their side helps businesses in their attempts to gather information and communicate with their clients and customers. Sales teams work with data on a regular basis. The better informed a salesperson is, the better the service they can provide to customers and clients. Unfortunately, the modern-day web is full of dubious, poorly-justified information, and there is more being uploaded every day. It is therefore necessary to use all available means to sift through the proverbial dirt to find nuggets of data that you can actually use. As we will see, AI-based software is the perfect candidate for performing this kind of tedious, but nonetheless essential work. The other cornerstone of modern sales is communication. Modern means of exchanging information at a distance has allowed businesses to keep in touch with their clientele before, after, and during the process of making a sale. However, with the proliferation of instant-messaging applications in the online world, customers now expect to get a response to their queries within 24 hours of asking a question. Small businesses with a limited staff can have a hard time responding to everyone on such short notice, which is why AI-driven communication assistants are starting to see more and more use. The adoption of various information technologies into our day-to-day life has led to the generation and storing of large amounts of digital data on a regular basis. This data is rife with patterns that businesses can exploit for creating better sales strategies, provided they know how to extract them from the sea of information. This is easier said than done due to the sheer size of the data-sets up for analysis. Going through such data manually is next to impossible, so businesses are outsourcing this kind of work to bots. Through a process called machine learning, bots can be trained to scour data to find specific patterns in customer behavior, or they can be left to work without any supervision in order to find previously unobserved trends. Another way to use bots to increase sales is having them track customer preferences and behavior in order to recommend additional purchases by means of cross-selling and upselling. This is the model Amazon has successfully been using for years – just how many times have you added an additional product to your online shopping basket on account of Amazon’s “frequently bought together” item suggestions. The same principle can be applied to digital marketing in general. Bots can be used to monitor various kinds of marketing campaigns in order to provide various sorts of data about consumers, including their behavior on social media, purchasing decisions, time spent on site, etc. This data can then be used to gauge which kind of marketing campaign is best suited for a particular demographic, or even a specific customer. It is even possible to take things a step further, and allow bots to making marketing decisions on their own. This kind of automation is most often used for lead nurturing in email marketing campaigns. Bots can keep track of how a customer interacts with a particular business in order to send them the right kind of content at the right moment, increasing the odds of them converting down the line. So far we have talked about using bots solely for behind-the-scenes tasks, but their utility for sales doesn’t stop there. Bots are now widely being used as tools for increasing customer engagement by acting as conversation partners online. The best example of this is a chatbot, a piece of software that can interpret user voice or text-based input, and provide output that resembles natural language. Chatbots are widely used for providing 24/7 customer support, for searching for information online, and even for completing sales, all without direct supervision. Some customers even seem to prefer bots to live people in specific contexts, as they are able to provide information they need in a more timely, consistent manner. With the digital market becoming more competitive with each passing year, businesses are taking every advantage they can get to ensure they come out on top. 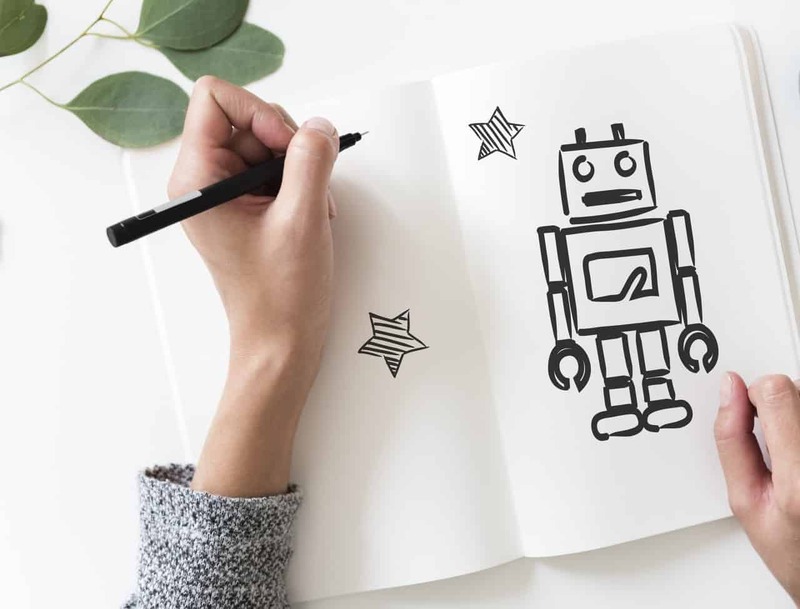 Bots are a prime example of this tendency, as they allow sales teams to automate the more tedious tasks they have to do each day, giving them more time to explore the more creative aspects of their work.